Manly Wasp – Round 2 – The Captain’s Marvel ! Long story short: opening the Manly WASP with two hands is tedious compared to all one hand opening knives available but the pleasure to use such an agressive cutter worst it ! So let’s be short ! Slide #2: I have gently rounded the shoulder of the edge making it even thinner: no chipping or rolling. It tells a lot about the quality of the Bulgarian heat treatment ! Slide #3: The cutting action is absolutely accurate and it slips gently in any material it is confronted to. Peeling an apple is a child play. Also the hard plastic is no challenge for the thin hard WASP’s edge. It is just fun to “test” that little folder on different chores !! What else ? It is not threatening so even sheeples can borrow it. Also the deep carry clip does wonder. I have also noticed how the edge is resilient to the plate’s ceramic ! Repeated hard contact on the plate did not affect the sharpness: this is a first for me. All in all the knife is slow in its opening with two hands but once ready to cut, it is a marvel ! It can bring a smile on your face when you see how easily it can separate matters. It is a keeper. 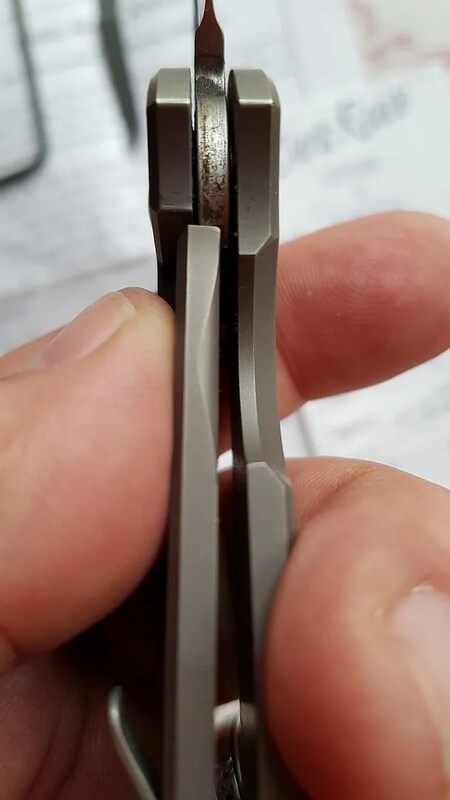 BTW mine seems to be the 2019 version with no contact between the blade and the spring when closed. 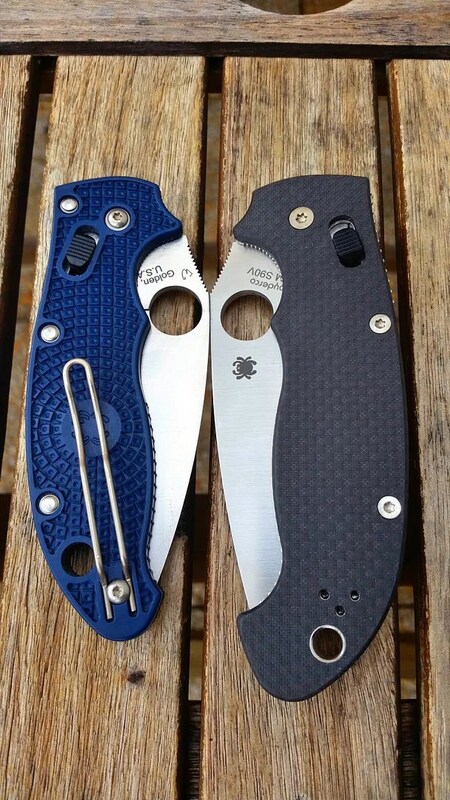 Posted on 06/02/2019 Author nemosandmanCategories Folders, ReviewTags Bulgarian, Manly, s90v, Slipjoint, WASPLeave a comment on Manly Wasp – Round 2 – The Captain’s Marvel ! In winter we all need vitamin C, after a long wait I get my shot !! My Viking friend Dan Sharpe has been the one who has injected me the Manly Virus. First one was the Manly Peak, the Comrade… And with my Welsh pal Wayne, both were keen to have the chance to carry their Manly knives legally in the UK: three inches blade, no lock and a deep carry clip. By luck some people of Manly were reading our conversation on our Facebook Group and voilà: the WASP was born. But our Bulgarian friends were even more clever than this… Let see why. First picture, please ? Here is my Manly family. The Wasp is the shorter. All are in S90V and with a very thin edge. The stout WASP is showing proudly is wide belly. This is a powerful combinaison: belly and ultra thin edge. The cleverness of having the Wasp steel liners hidden inside the G10. The Comrade got thicker G10 slabs too keeping is role of hardchore slipjoint. You got the best tech of the Peak and the Comrade in a compact tool. Thin edge is evident on simple tasks like peeling a fruit. Thos Manly knives are razor sharp out of the box and their S90V is very well het treated: no chipping and no bending. I have used hard my WASP in plates and the ceramic was not able to mark the blade. This is really amazing. The WASP is not threatening at all on a table. It can be used in a restaurant or amount non knives friends with no problem. I know, I only got compliment about it. Yes, that wide thin belly edge is really powerful. It goes deep and steady in any material. Of course the slip joint mechanism is the same as the Comrade with zero play and 4 steps to avoid closing on the finger. Also the guard is an excellent protection. You really will need your two hands to open it. I’m not crazy about the “look” of the screw but this is consistent in all my Manly Family. It’s really “cosmetic” but I think this knife desserve a more beautiful screw. No big deal. The Orange G10 is perfect and I won’t need to sand it. 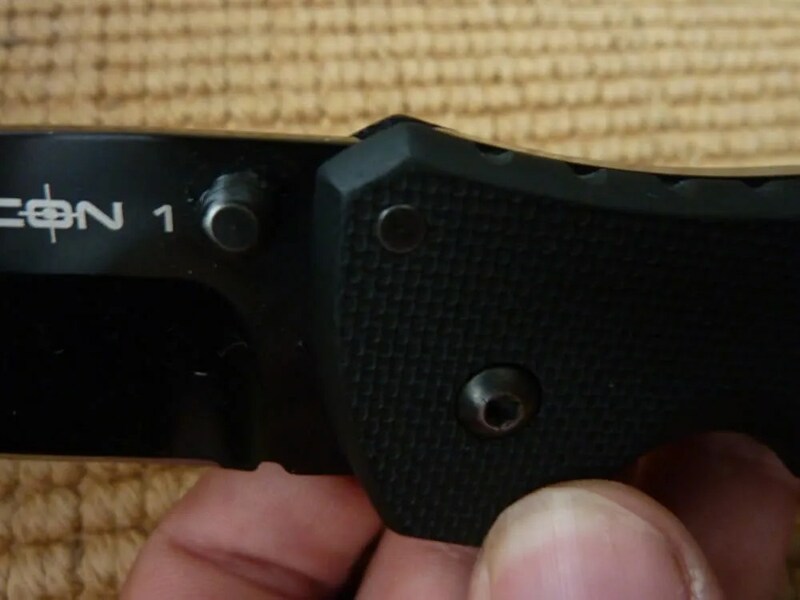 The G10 on the Comrade was more aggressive… The ergonomy is absolutly great for a short knife with no lock. So far it is a joy to use. There is no “square” feel like on the comrade. It is really close to the Peak in term of flat handle. Here is a close up on the wonderful deep carry clip, the same which is found on the Peak. It works great. The Comrade clip is the only “proud” clipped of the family. But again it is logic with the way the Comrade has been design as a slip joint tank for outdoors applications. The Wasp is more on the stealth side but its belly near the pivot makes it really powerful in pushcuts I do when cutting wood to make a pole. More to come after some use, but this one is ready for travelling is Danemark ! Anyway all those Manly have thin edge, great action, and wonderfully heat treated S90V blade. The Wasp is the proud son of the Comrade and the Peak. Now I hope a 3 inches version of the Peak will be proposed.